» How to Set Up a Tent, Or, The Miracle of Inside, Outside: PT 1 Outdoorsineering! Outdoorsineering at its purest is a man with the horizon in his eyes, stepping forth alone into the brave unknown. It once was that the true outdoorsineer carried nothing except his wits, his brawn, and an enslaved native tribe to carry his steamer trunks, gather his food, and make sure no bugs snuck into his boots. But times have changed, and just like it is no longer ‘correct’ to assume a woman who drives is a prostitute, it is no longer ‘correct’ to force primitive people to make shelters of intertwined men to keep you safe in a storm. Therefore, the modern outdoorsman makes use of the tent. Tents are seemingly simple devices that are designed to pull off a fabulously complex trick. By a combination of science, magic, and canvas, they create an area of “inside” in the “outside”. The effect is profound. 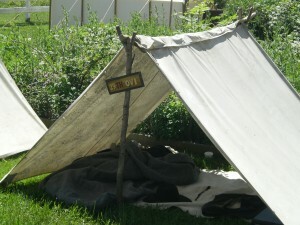 A modern tent. Notice the clear delineation between inside and outside. A simple illustration helps illustrate this. Outside, one ﬁnds animals, bees, stumps, and mud. Inside we ﬁnd the inverse – no animals, no bees, no stumps, and no mud. So far, so good. Now, lets take that same outside from before (the one with bees and stumps and so forth) and throw a tent over it. Suddenly, we are faced with no animals, no bees, no stumps, and no mud. 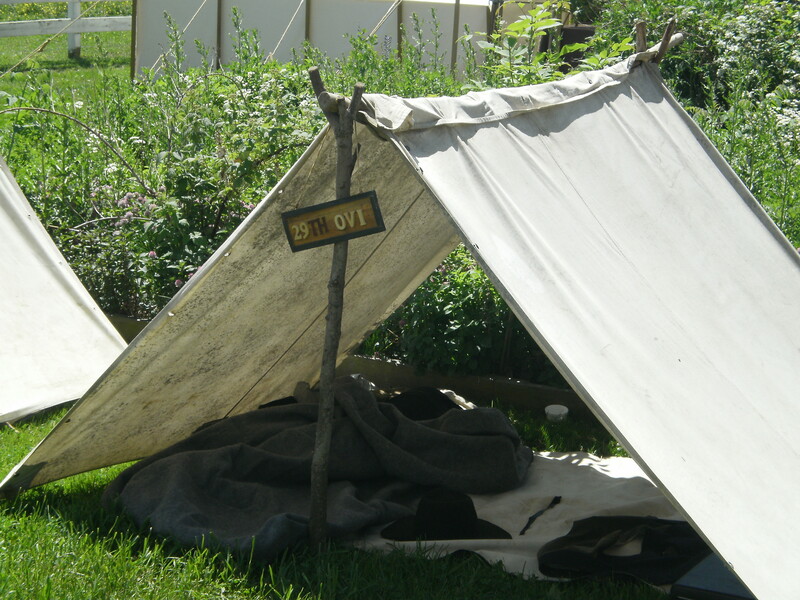 We simply have a clean tent ﬂoor, tent walls, and tent roof. It is a place to sleep, to eat, or to simply “go inside”. The tent transmutes the laws of the universe to make inside where it pleases. Raise the tent, inside is born. Is there an eternal reservoir of inside waiting behind this veneer of reality that only a zipper can reveal? Do the spheres create a harmony that resonates with the tent poles to produce the archetype of insideness? An outdoorsineer must spend much of his time contemplating this transformative property of tents lest the semiotic and philosophical implications of an outside that is now an inside ravage and destroy his mind. And the equation becomes more complex when we consider that the tent can be collapsed, moved, and erected somewhere else. Think of it! Anywhere that was once outside, can now become the inside with the addition of a tent! A sandy desert is now a living room. A muggy jungle is now a bedroom. How do we know that anything is what it seems? Because of the tent, we do not, and while this quality of tents is certainly a cause for the bleakest existential despair, it cannot be denied that the tent is a convenience to the man in the outdoors. Alas, tent theory is beyond the scope of these pages. Still, there are some practical factors worth noting about tents that will make your adventure more pleasant. We shall help to explain the tent’s importance and how an outdoorsineer handles himself around such a volatile piece of hardware. Pingback: How to Set Up a Tent, Or, The Miracle of Inside, Outside: PT 2 | Outdoorsineering!